The Waterloo Job Shop, run by South Bank Employers’ Group, supports the community by raising residents’ employment aspirations and helping more of them to get jobs or to start their own businesses. We are also working with employers to encourage local recruitment and helping local people in Lambeth, Southwark and Wandsworth to learn new skills and retrain to suit the changing job market, including tailored support for older job-seekers. 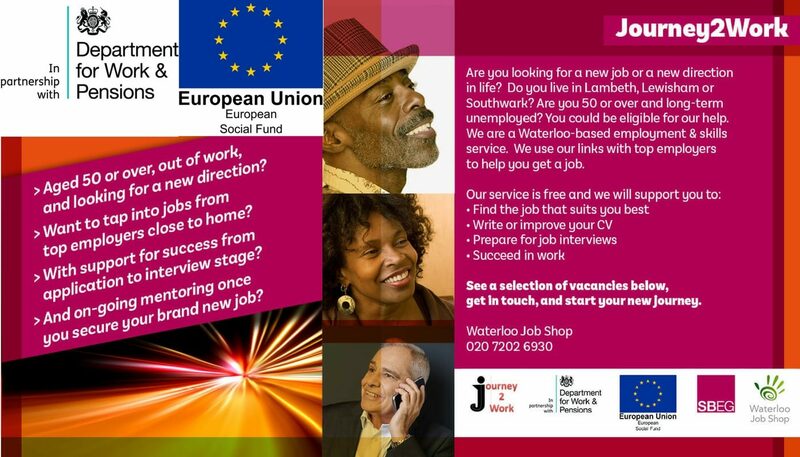 Based in Lower Marsh, behind Waterloo Station, the Waterloo Job Shop informs residents of the employment opportunities available in their neighbourhood and supports them to apply for and secure these jobs. Our dedicated employment advisors offer help with applications, coaching on interview techniques, and pre-employment training. We advertise all our vacancies on Universal Jobmatch. We operate a guaranteed interview scheme for disabled candidates who meet the minimum criteria for the job role. A new programme, Journey2Work, offers individual, ongoing support to job-seekers aged 50 or over. The initiative has secured over 700 people a job in their community to date, meeting local aspirations that residents must benefit from a flourishing South Bank and helping employers find committed workers on their doorstep. 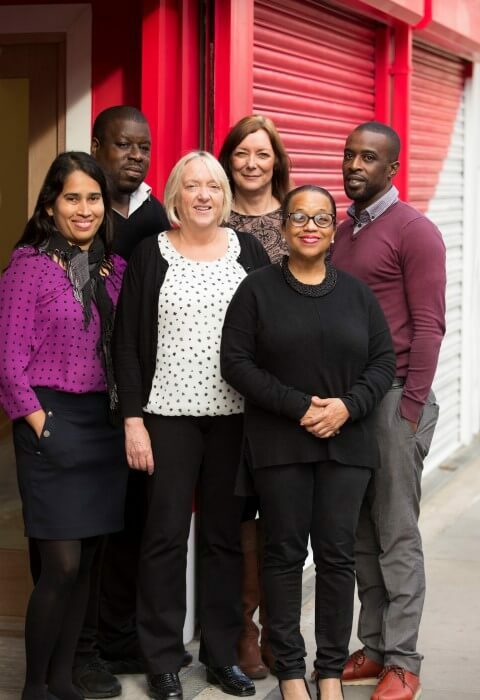 The Journey2Work programme supports all those eligible – residents of Lambeth, Lewisham and Southwark aged 50 or over and out-of-work for six months or more – to help them overcome barriers to taking up jobs. With support, older job-seekers can access the many jobs created in South Bank in beyond, helping employers facing recruitment challenges. Under the programme, the Job Shop’s employment advisors support older job-seekers to find work by using connections with local employers – South Bank Employers’ Group members. It also helps those supported to create professional CVs and to improve their interview techniques and provides on-going mentoring once they secure employment. Journey2Work is delivered in partnership with G4S with funding from the European Social Fund and Department for Work and Pensions. See a selection of current positions below.